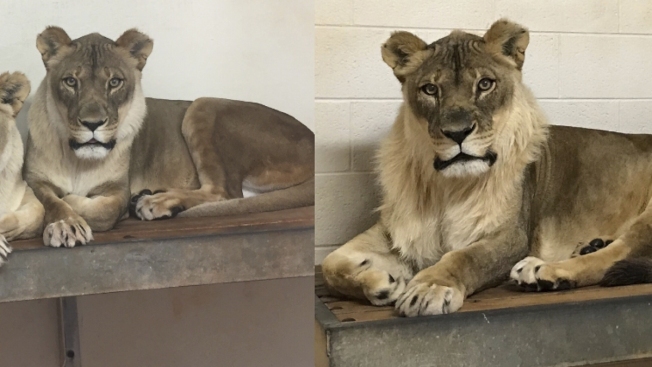 These photos provided by the Oklahoma City Zoo taken, March 25, 2017, left, and Nov. 23, 2017, right, show Bridget, a lioness that has grown a mane. The zoo says a blood sample has detected the reason why one of its African lionesses has grown a mane. The Oklahoma City Zoo says an 18-year-old African lioness that mysteriously sprouted a mane last year has died.